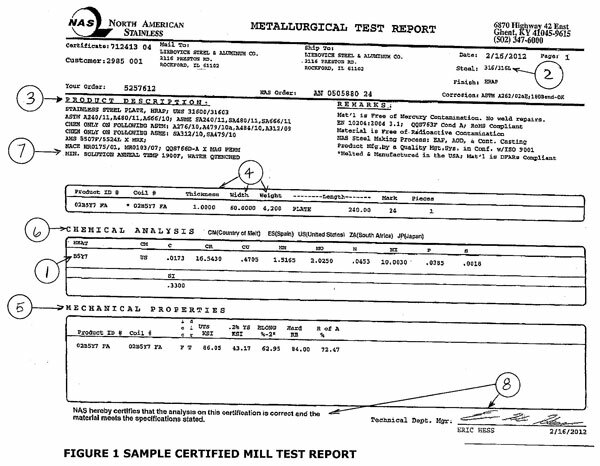 Reviewing a Certified Mill Test Report | Meyer Tool & MFG - Meyer Tool & Mfg. Whether manufacturing a large cryogenic module or a small flange adapter, using the correct material as determined in engineering for each component is critical. The Certified Mill Test Report is a tool used to ensure that received raw material matches the engineering and purchase order requirements. A Certified Mill Test Report (CMTR) is a quality assurance document generated by the raw material manufacturer and provided with the material to intermediate suppliers and ultimately to a finished goods manufacturer like Meyer Tool. Whether it’s called a CMTR, Mill Test Report (MTR), Mill Certification, Metallurgical Test Report, or similar name, this document provides the end user of the raw material verification that the material received matches the requirements of their order. CMTRs are also used to maintain traceability of the material from its initial inception to its inclusion in a finished part. Material manufacturers can identify raw material in different ways, using lot, coil or other identifying numbers, but ultimately all CMTRs will identify the material with a Heat Number. The heat number is used to maintain traceability of the material. When matching a CMTR to its raw material all accompanying paper work and in many cases markings on the raw material itself must match the heat number on the CMTR. Metal materials are produced in various grades. The CMTR identifies the grade of the material. The CMTR identifies the applicable dimensions of the raw material. In the case of plate material this would be the thickness, round bar the diameter, or flat bar the thickness and width. This information must match the order requirements. The product specification lists the detailed requirements that the raw material must meet to be certified to that product specification and grade. The actual measured properties of the raw material are recorded on the CMTR for the identified heat number. These properties typically consist of the Mechanical Properties, (#05), and Chemical Analysis, (#6), The values listed on the CMTR must fall within the range or limits of the product specification for the raw material to be accepted for use. Depending on the raw material, there may be other requirements in the product specification. For example, 300 series stainless steels require a specific heat treatment which must be recorded on the CMTR. The reviewer must identify all special processes in the product specification and confirm they are properly recorded on the CMTR. Finally the CMTR must be certified with the signature of a responsible employee of the foundry or mill producing the raw material. See Figure 1, balloon #8. Certified Mill Test Reports provide a record of traceability and properties of a raw material, ensuring that the material will perform in the way it was designed to. Deviations from product specification values can have large consequences, even causing a component failure. The ability to effectively review a Certified Mill Test Report to avoid such consequences is just one way Meyer Tool Reduces Project Risk and Achieves the Lowest Total Cost of Ownership for our customers. The ability to effectively review a Certified Mill Test Report to avoid such consequences is just one way Meyer Tool Reduces Project Risk and Achieves the Lowest Total Cost of Ownership for our customers. 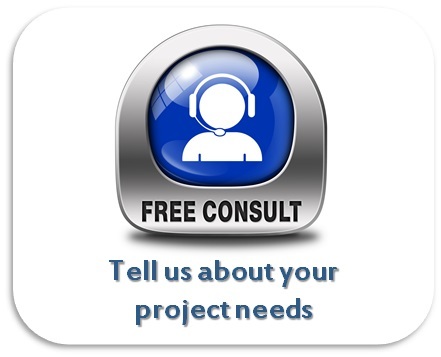 Contact Meyer Tool today for more information.